New Delhi: The Odisha government on Monday informed the Supreme Court that the Lokayukta will take charge in the state on April 8 this year. Replying to the queries of the 3-member division bench of the apex court under the chairmanship of Chief Justice Ranjan Gogoi, Odisha Chief Secretary Aditya Prasad Padhi said that the selection process of Lokayukta will be completed by March 31 and it will start functioning from April 8. The affidavit, submitted by the state government, had mentioned about the steps taken so far for appointment of the Lokayukta. It may be recalled that Odisha was the first state in the country to pass the Lokayukta Bill in the State Assembly on February 14, 2014. However, the state government had not taken any step to make it functional. 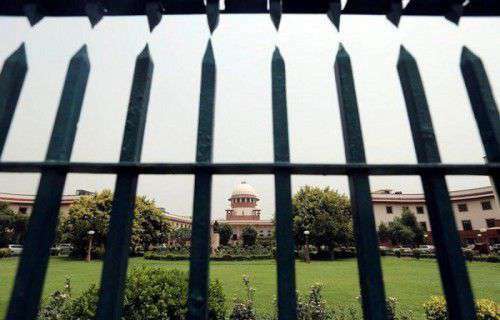 Taking strong exception to the non-implementation of its order, the Supreme Court on July 10 last year had directed the state government to complete the process for appointment of the Lokayukta by October 10. Acting on this directive, the state government constituted a seven-member search committee on December 10. The committee members were selected by the Chief Justice of the Orissa High Court Justice KS Jhaveri, retired Supreme Court Judge Justice Ananga Patnaik, Speaker of the State Assembly Pradip Kumar Amat and leader of the Opposition Narasingha Mishra at a meeting presided over by Chief Minister Naveen Patnaik. The committee, led by the retired Judge of the Supreme Court and former Chief Justice of Orissa High Court Justice Amitava Roy, had former IAS officer Sanjiv Hota, former Odisha DGP Gopal Nanda, former IAS officer Dr RN Bohidar, Dr Bidhu Bhusan Samal, Prof Snigdha Patnaik of XIMB and Vice Chancellor of National Law University, Bangalore, Dr Venkata Rao Rambhatla as its members. For the post of Lokayukta chairperson, the search committee was to select five persons and 15 more for five other members of the mandal and recommend their name to the selection committee by January. The 6-member Lokayukta Mandal, including the Lokayukta chairperson, was then to be picked at a meeting in February.